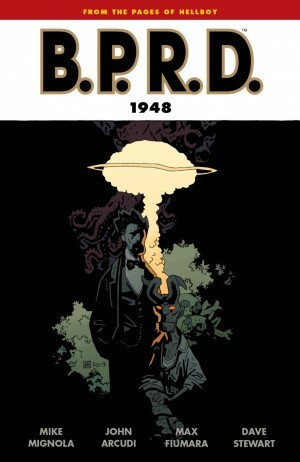 This was a big step away from the usual present day B.P.R.D. 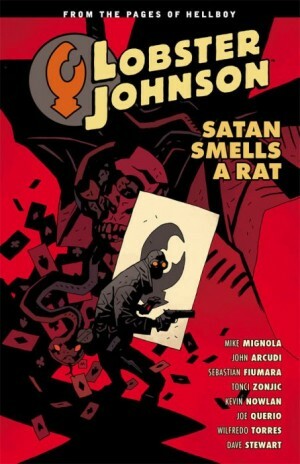 material, revisiting the earliest days of the Bureau just after Hellboy arrived on Earth, and it introduces one of the most chilling characters in the entire series. With World War II won, allied forces began their dismantling and re-purposing of Nazi resources, and the Soviets were particularly interested in the occult investigations carried out. So was Trevor Bruttenholm, intrigued enough to travel to Germany. What he discovers is deadly, costly and ghastly, and the more Bruttenholm uncovers, the worse the situation becomes. Early during the course of his investigations Bruttenholm meets the head of the B.P.R.D.’s Soviet equivalent, and is hardly taken aback at Varvara. She’s a pre-pubescent girl with curled blonde hair in a virginal white dress with frilled collar and sleeves, who knocks back the vodka like there’s no tomorrow. Varvara delights in revealing what she is, and she’s probably the most downright unsettling character in a series where that’s the norm. She returns in 1947. 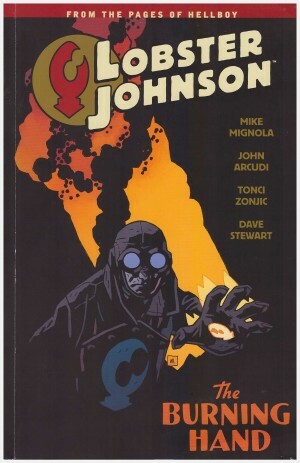 Mike Mignola co-plotted this with Joshua Dysart, and together they’ve produced three-quarters of a very good story. As Bruttenholm and his unlikely allies piece matters together the story rolls along nicely, with Paul Azaceta’s gloomy art fitting the mood. Unfortunately though, elements introduced toward the end cross the straight-faced credibility line, that glue that holds B.P.R.D. together, and it rapidly devolves into B-movie territory. 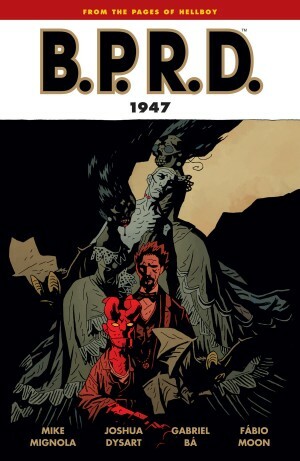 The bonus material includes production sketches common to all B.P.R.D. 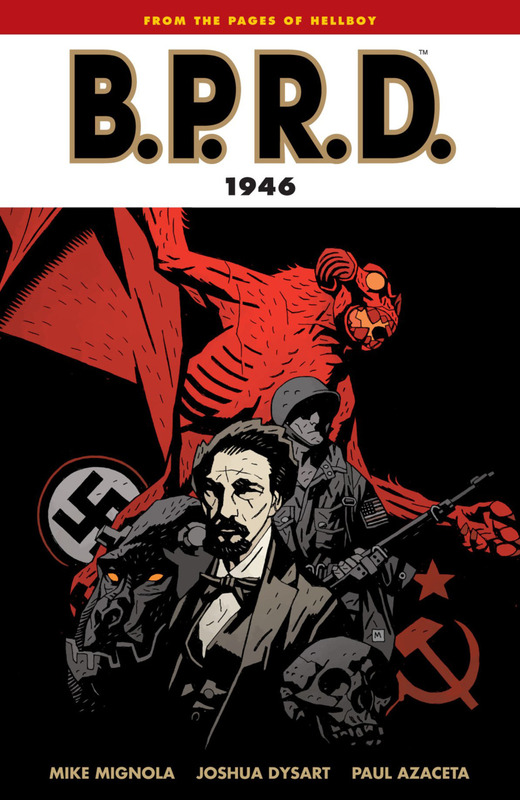 books, and an additional short story detailing the first meeting between founder members of the B.P.R.D., Bruttenholm and Dr Howard Eaton. It reflects on the main story, and casts new light on Bruttenholm’s dedication to his research. 1946 is collected along with the far better 1947 and 1948 in one hardbound volume for those the prefer the more durable format.